For me, September is always a time for fresh starts, new opportunities, and a chance for growth. Whenever I’m faced with these new experiences, I try to set some goals for myself to help me make the most of my days ahead; this September is no different. 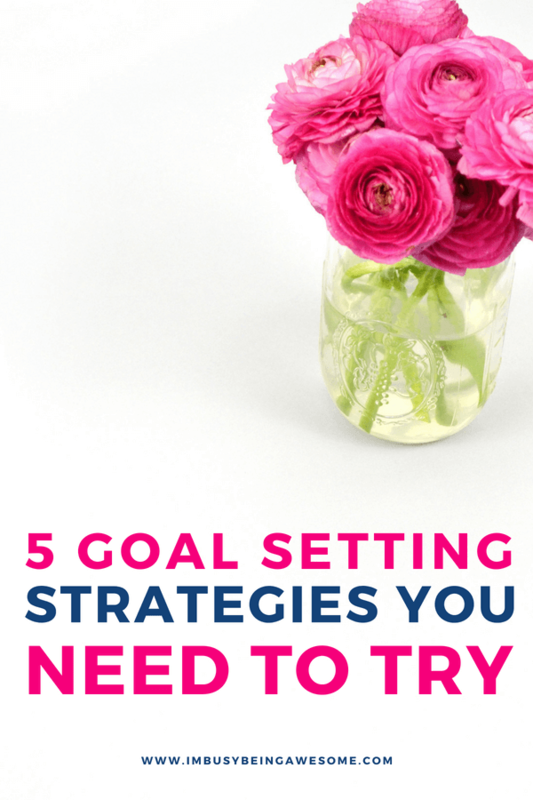 Today I am thrilled to share my top 5 goal setting strategies over on Rose Barnett’s blog. So if you’re ready to start the “other New Year” off on the right foot, then be sure to hop over to Life Management for Moms and check out my latest tips today! Looking for more goal setting strategies? Check out some of my favorites!